The last winter shot from the archives. 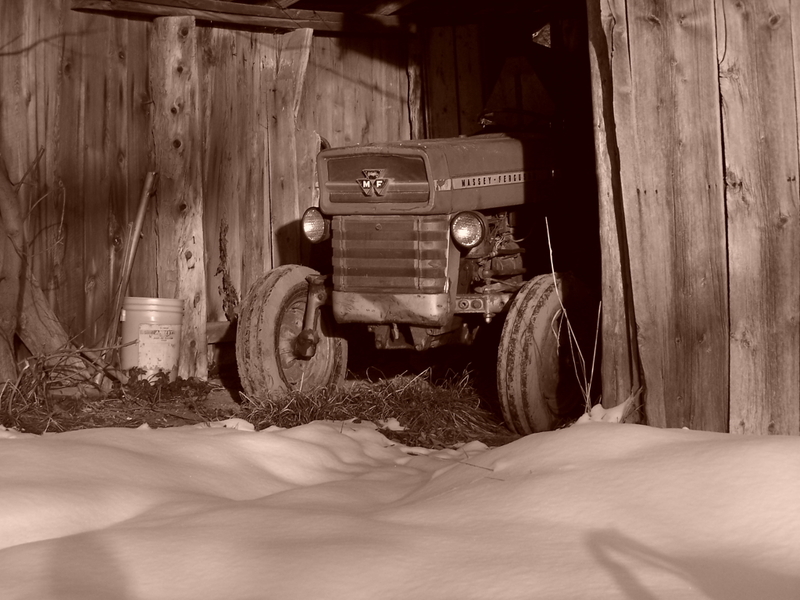 This one is of an old Massey-Ferguson tractor that lives at the farm. It dates to about the 60’s I believe, so not an antique really. It’s actually still quite functional, seeing plowing matches and use around the farm too. This entry was posted in Details, P&S, Random Goodness. Bookmark the permalink.